Here's the second installment in my interview with Elizabeth Wein, the author of several historical novels, most recently CODE NAME VERITY and ROSE UNDER FIRE. Elizabeth is one of the keynote speakers at the SCBWI conference in New York in February.You can sign up here if you haven't. It's likely to sell out and we'd hate for you to miss the fun, insight, and inspiration. In this round, Elizabeth talks about her research practices and what it's like to be an American author living in Scotland. What are some of your favorite challenges when it comes to researching your historical novels? Do you have favorite tips and tricks to share? “Favorite challenges”—isn’t that an oxymoron?! I think probably the most frustrating challenges to resolve, and the most rewarding when you find the solution, are little history-specific details. For Rose Under Fire, one of the themes was the V1 flying bomb, an unmanned aircraft used by the Germans against Allied cities in the final year of World War II. Essentially these bombs were the first guided missiles. I did a lot of online research (there is a ton of technical information regarding military history available online; I found a downloadable version of the original 400 page manual for the V2 rocket, in German). I read books about the design history and social history of the V1. I got a firsthand account of what it was like to have to live in terror of them from my father-in-law, who had been a teen in southern England at the time; I even found an audio recording of a V1 falling. I learned a lot about this bomb from many different angles, but I needed to know some very specific details that weren’t making it into the historical overviews: which companies manufactured the fuses for V1s? How was the fuse installed? My character Rose was going to be forced to make fuse parts as a slave laborer later in the book; I wanted her to see the manufacturer’s name on a captured fuse while she was still safe, to help her make a human connection with a very inhuman object. I also wanted to know exactly what parts were made in the munitions factory where Rose would eventually be forced to work. I wanted specific connections. Eventually, after persistent hours of trawling books and the internet, I came across a passage buried in a Ravensbrück survivor account that exactly described the work the author was made to do in the very factory where Rose would be working. Then, I got in touch with Steve Venus, probably the world expert on World War II bomb fuses, and got his advice on the correct fuse type as well as information about the prisoners who had been forced to work in Nazi munitions factories. The challenge, and the frustration, is in the hours spent searching for information which will only be used in a few lines in the novel. It’s information I could easily gloss over. I don’t have to mention the fuse manufacturer when I describe the fuse, or describe the specific piecework Rose is doing when she sits down at her bench under the harsh factory lights. Maybe the time I spent chasing down these minor, irrelevant facts could be better spent in crafting the novel, or even in keeping my house clean. But the joy of stumbling across that perfect description I’m hunting for, and the reward in communicating with the man who worked as a consultant for the Danger UXB television series, are so worth it. So the challenge of getting the details right is its own reward—not just for the satisfaction of bringing high-falutin’ literary artistry to the book, but also for the personal connections it often brings me. Don’t limit yourself to English language sources! The foreign language versions of Wikipedia and Google containdifferent information from the English versions. If you are researching any non-English-speaking country or historical figure, look up your search term in the language of its origin. Google Translate works well enough these days that it can give you a reasonable idea of what you’re reading even if you don’t know the language. Pierre Paoli, a Frenchman working for the Gestapo who was my basis for Etienne Thibaut in Code Name Verity, has his own entry in the French version of Wikipedia but not in the English version. Often you will find foreign language websites that give you information you can’t get in English; I found biographical information about all the Polish women experimented on at Ravensbrück by searching Polish genealogical records. Also, don’t forget that you can sometimes order books that are unavailable in our own country from mail order sources in foreign countries. Don’t be afraid to contact experts. They are usually extremely willing to help. People enjoy sharing their expertise and enthusiasms. Offer to thank them in your acknowledgments, and send them a copy of the published book. I’ve found that people don’t often expect this courtesy, and are very grateful for the recognition. Try to find original sources. Read books and newspapers and watch movies published during your time period: they are fantastic sources for period detail and language. Go to museums and look at stuff—tools, clothes, toys, furniture (in the case of Code Name Verity and Rose Under Fire, airplanes! )—anything from your time period that will help you get a sense of what it was like to really live with and use these things. When I was writing my novels set in ancient Ethiopia, I got access to the British Museum’s collection of sixth century Ethiopian coins. Immerse yourself in your time period. What's it like being an American writer in Scotland? I have lived in Scotland for fourteen years, which is longer than I’ve ever lived in one place in my entire life. So I feel pretty much at home here. I love where we live, right at the end of the motorway system, in the foothills of the Highlands. A land of wild beauty is at our back door – we can see snow on the mountains from our window from September to May. There are a wealth of literary festivals to attend, and local councils and the Scottish Book Trust are wonderfully supportive of local talent. 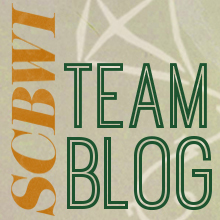 Sheila Averbuch and Louise Kelly have been pulling together a Southeast Scotland network for the SCBWI British Isles region (http://networkedblogs.com/R7sgJ), which is good news for writerly camaraderie. And I honored to be part of the somewhat seasonal Wayside Writers’ Circle(http://bloodredpencil.blogspot.co.uk/2012/11/the-wayside-writers-circle.html), spearheaded by the laudable and inspirational Jane Yolen. I like the perspective that being an alien gives me. Many of my characters are transplanted from their homeland. And Scotland is a good place to live. Can you tell us what's next? Or would you have to imprison us? I’m working on a book set in Ethiopia in 1935, with a couple of young pilots in it. So I guess you could say I’m combining my interests! It’s not a secret, but my answer is vague because I’ve found it hard work to write and I tend not to talk about stuff I’m working on until I feel confident about it. For more about Elizabeth, check out her home page. Be sure to click on her blog. There are some really great entries.